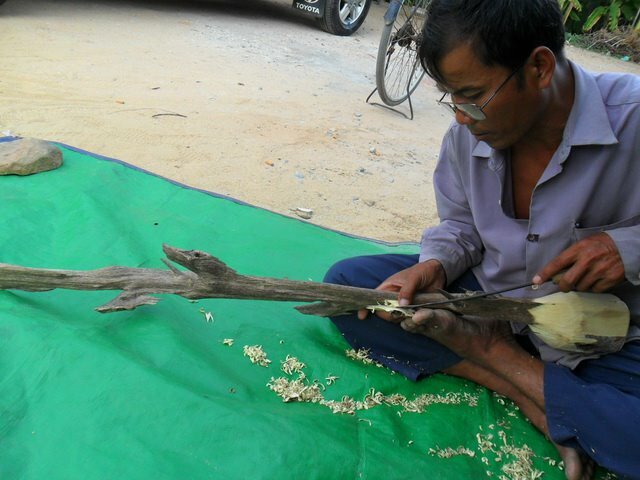 When agarwood trees are damaged either naturally or artificially, fungus enters the tree. 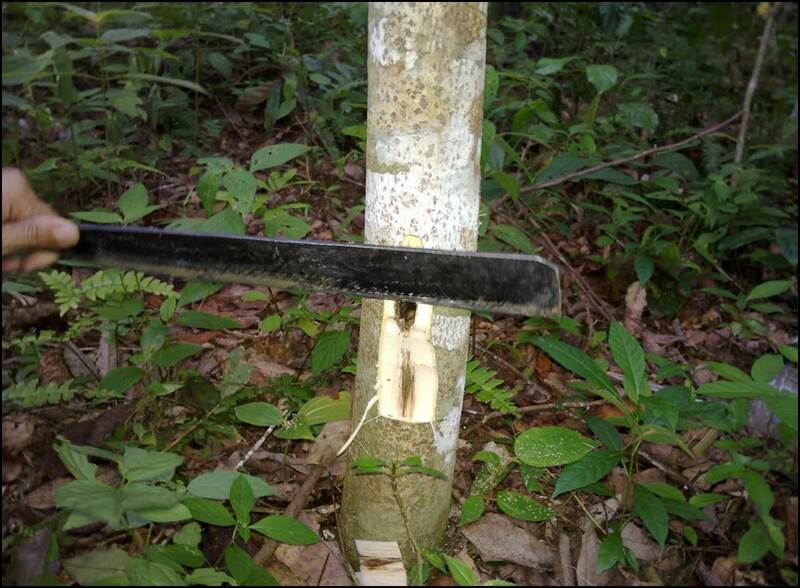 As the fungal infection progresses, the tree produces a dark aromatic resin in response to the attack, which results in a very dense, dark, resin embedded heartwood. 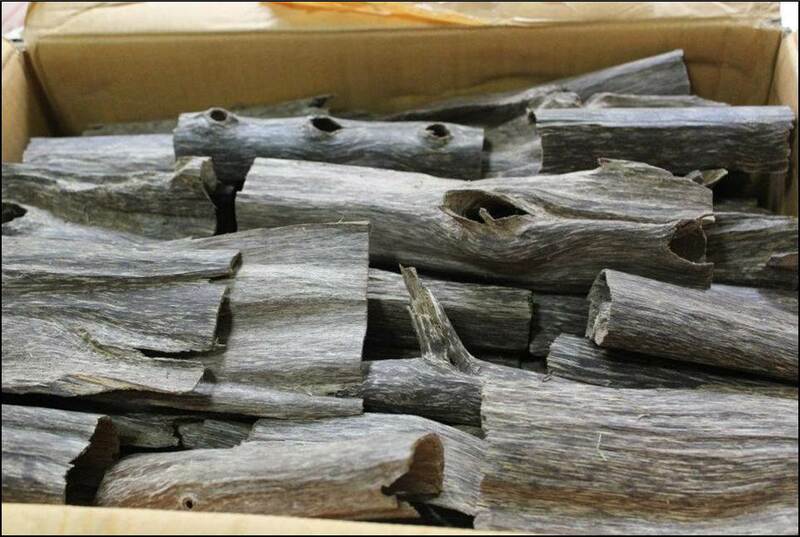 Agarwood trees could be stressed for producing a dark resinous heartwood when its BHD reaching 4″ as shown. 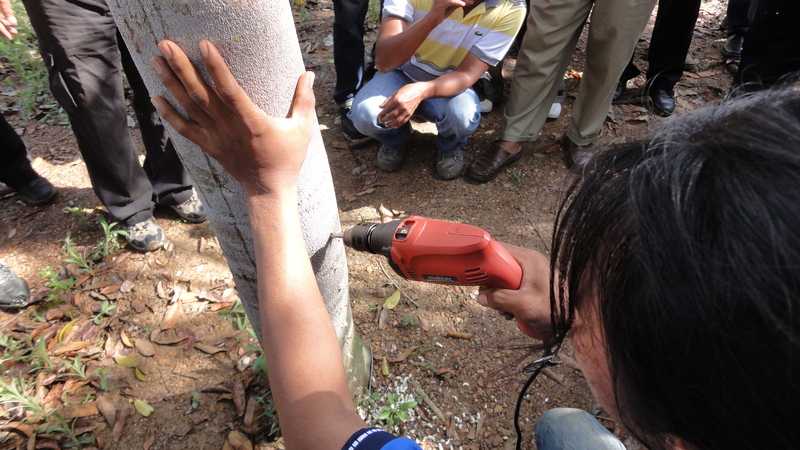 Drill the tree with electric hand drill. 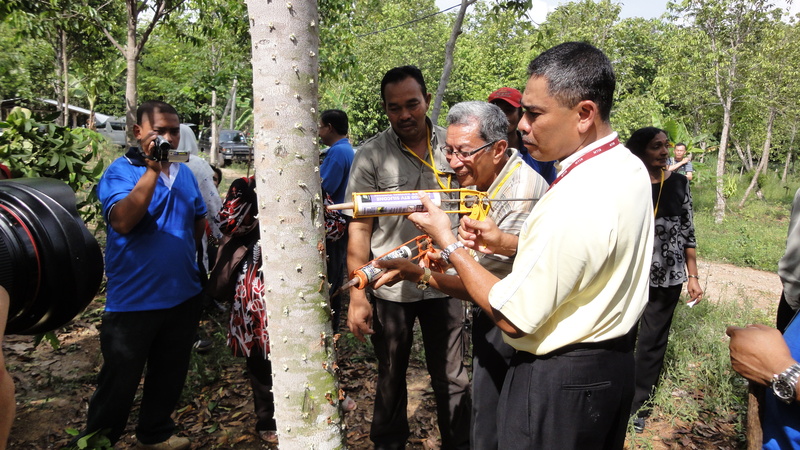 Apply inoculant to the trees. 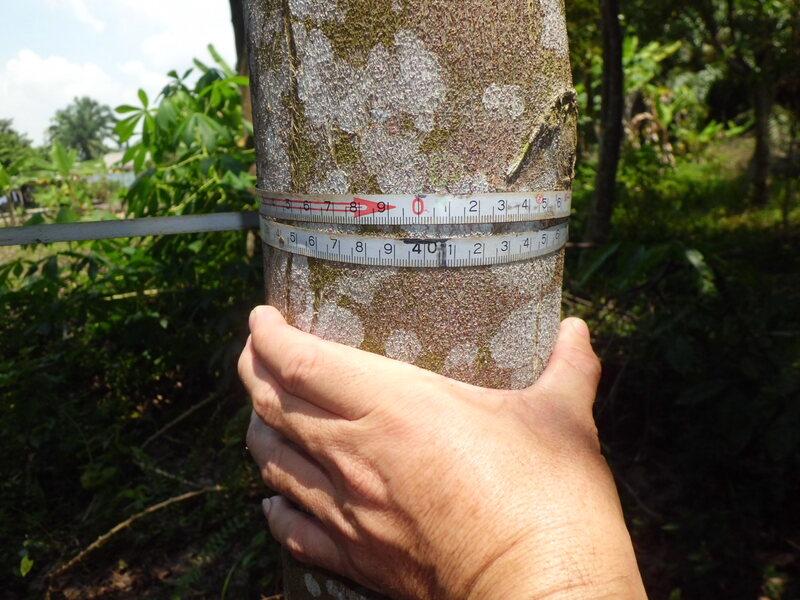 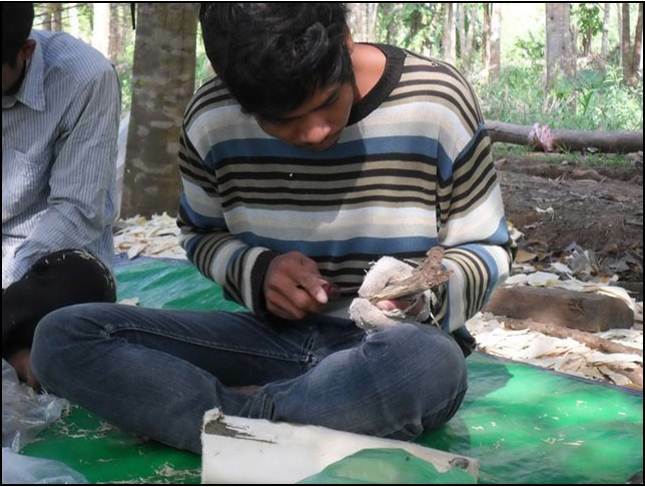 Agarwood formation checking, by using parang, prior to tree cut down,normally 1~2 years recommended, longer the better. 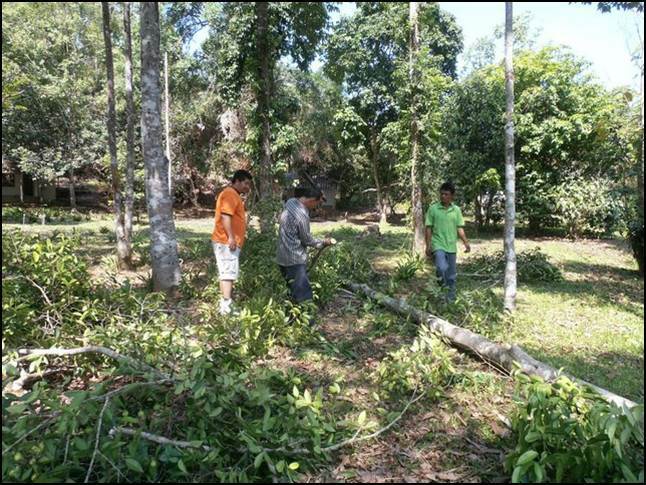 Chop down the Gaharu tree. 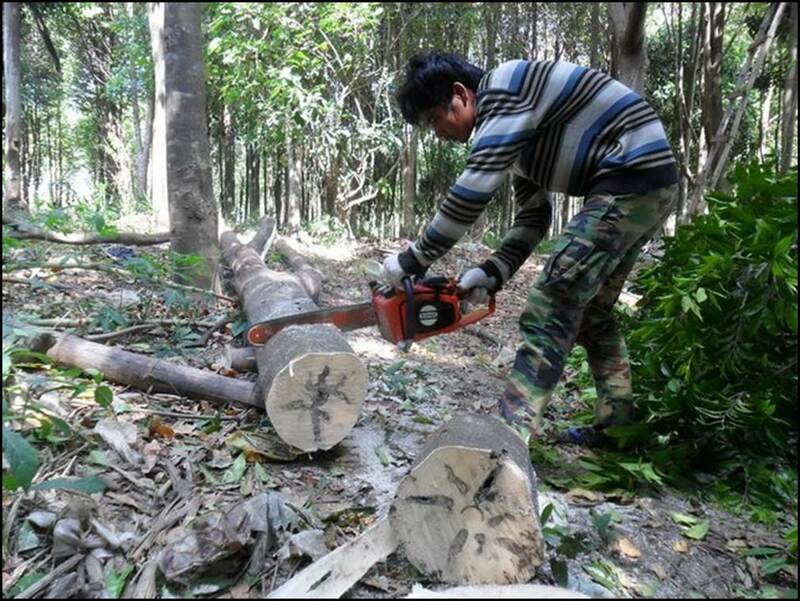 Cut the trunk into small log. 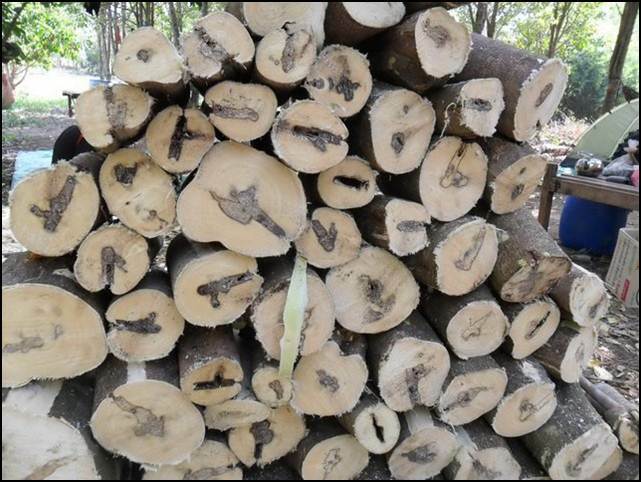 Agarwood logs collected from cultivated farm. 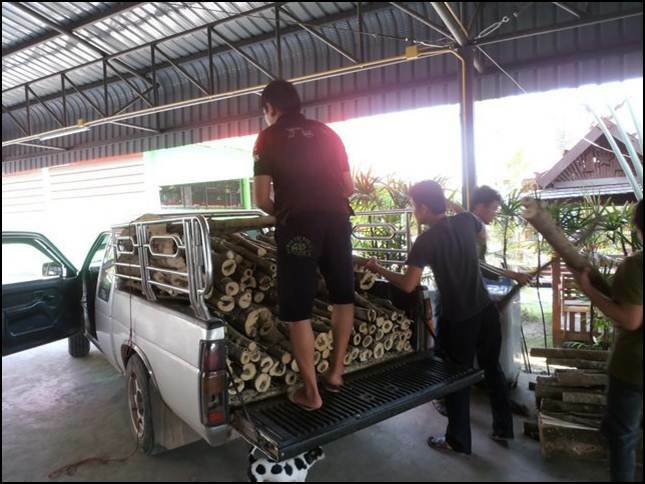 Agarwood logs transported by truck for further process. 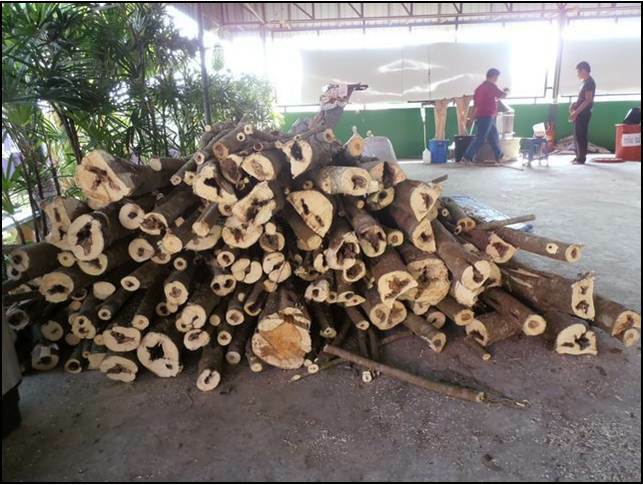 ….. delivered to processing plant. 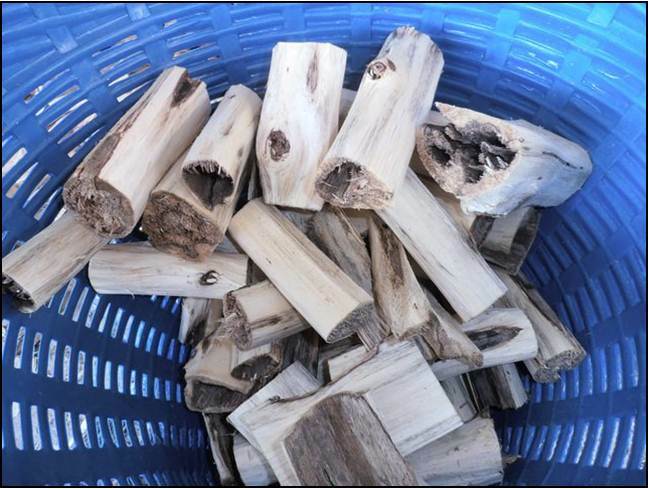 Rough process– remove the white / yellowish portion. 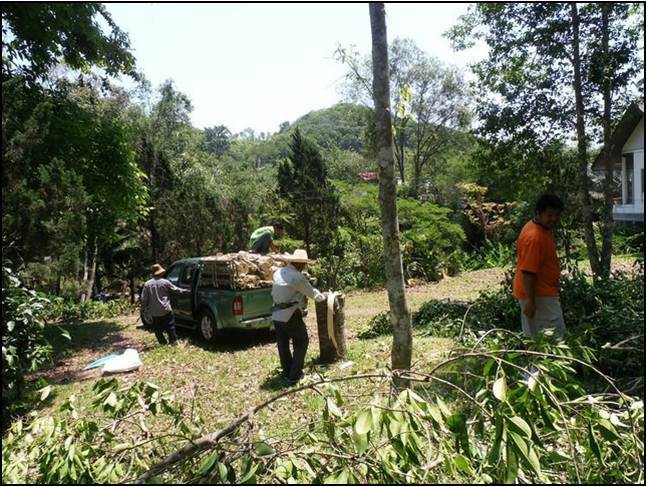 Products delivered to final carving process. 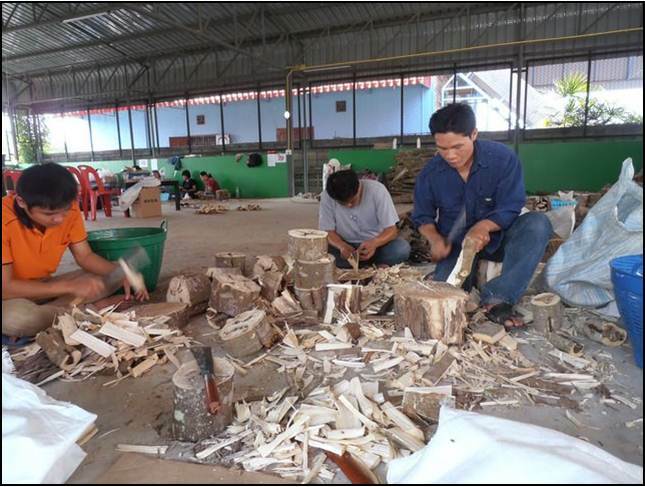 Final carving by expert to finish products, Agarwood.